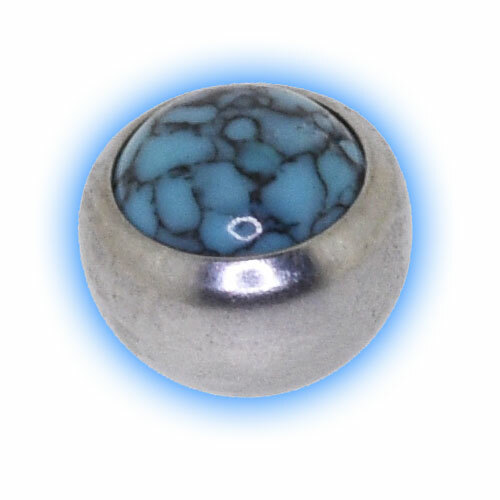 This ball is stunning with a Turquoise dyed howlite stone set in 316L Surgical steel. It is suitable for externally threaded 1.6mm (14 gauge) body jewellery such as barbells, labrets and belly bars. The ball measures 5mm which is the same size as a standard belly bar or tongue bar top ball.